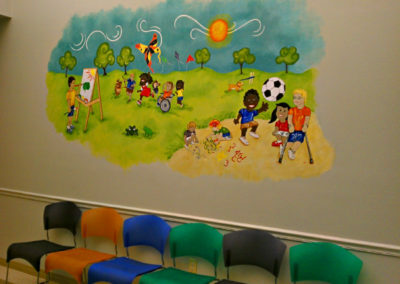 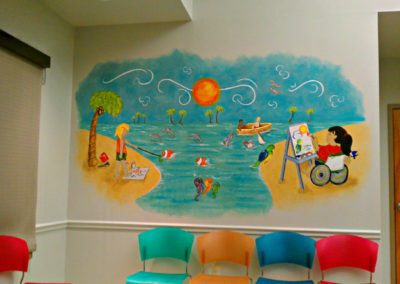 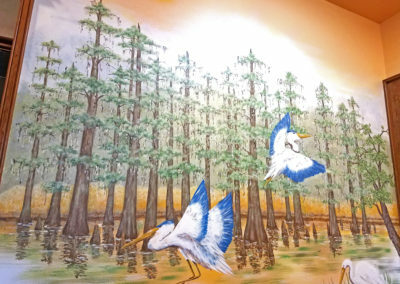 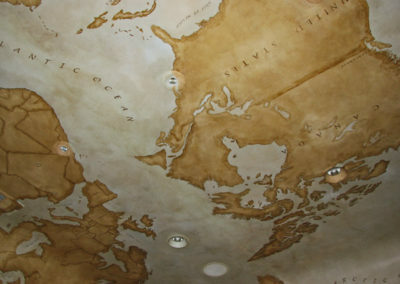 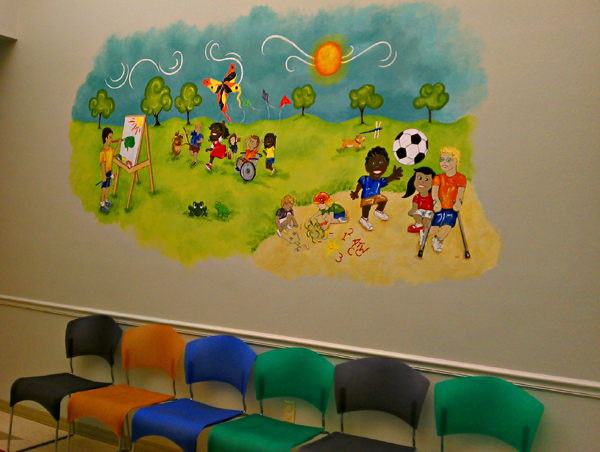 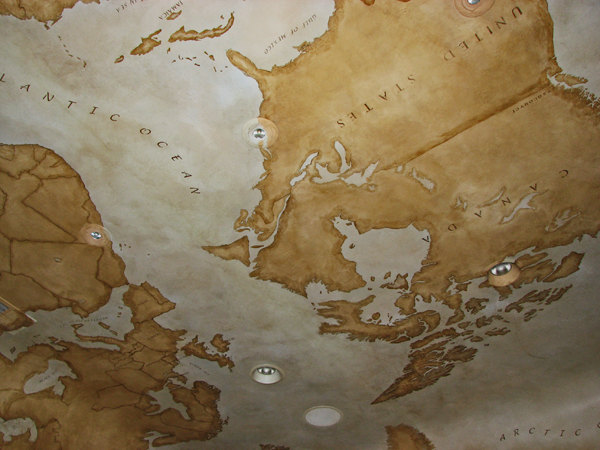 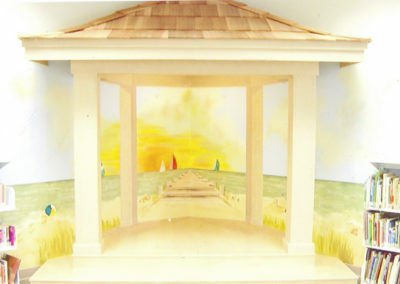 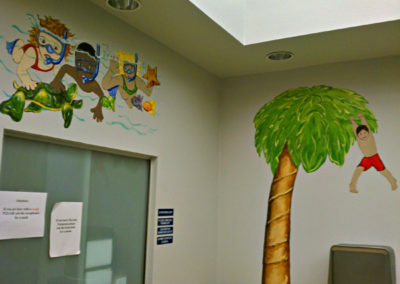 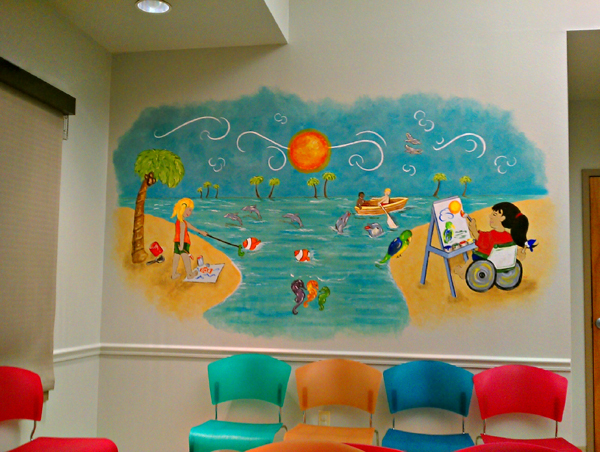 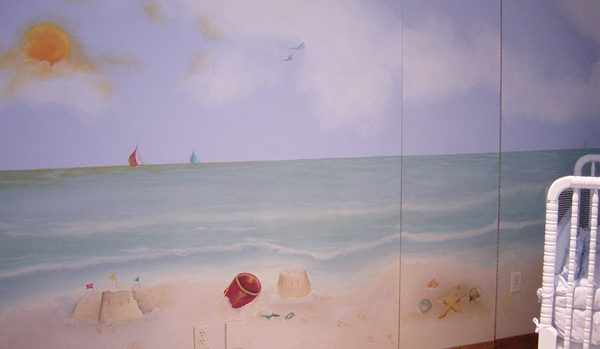 We can tell your story in a custom designed and hand-painted mural bringing your vision to life. 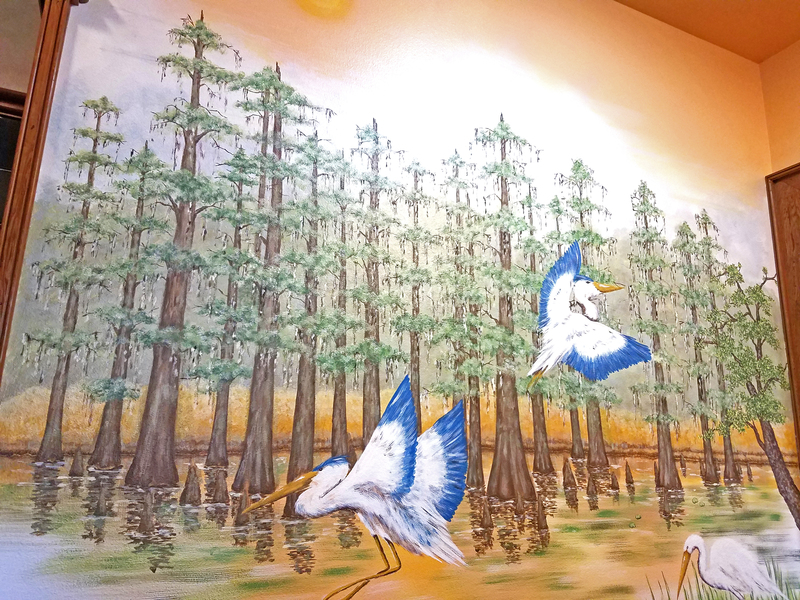 A mural is more than just imagery, it’s a story and it’s your story! 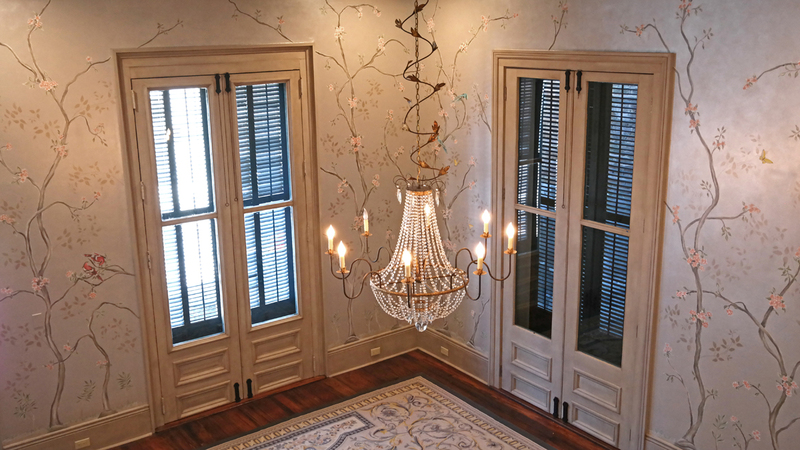 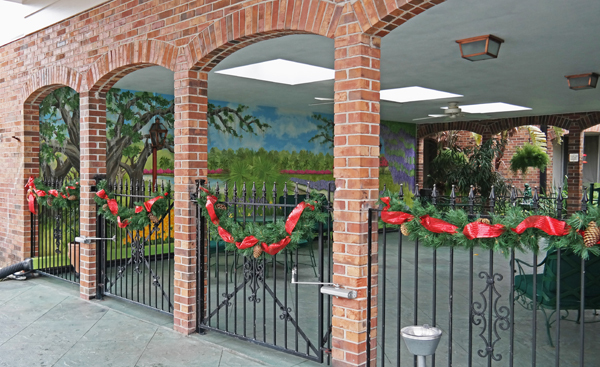 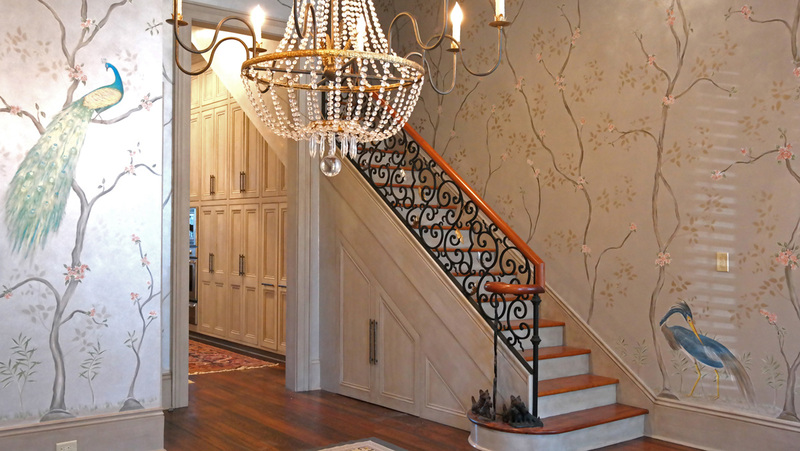 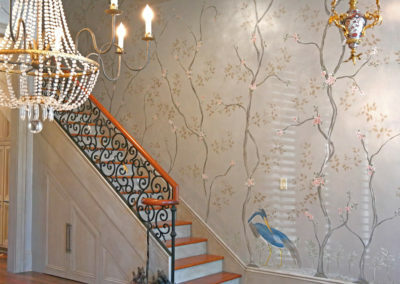 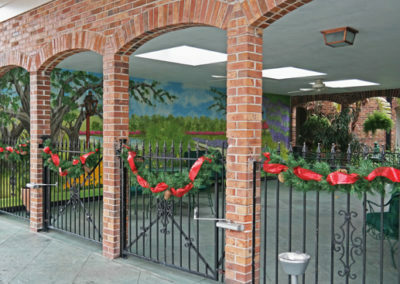 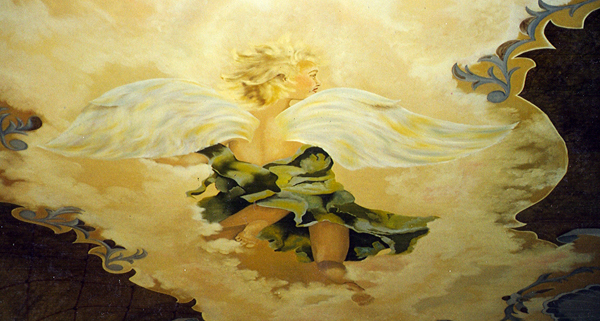 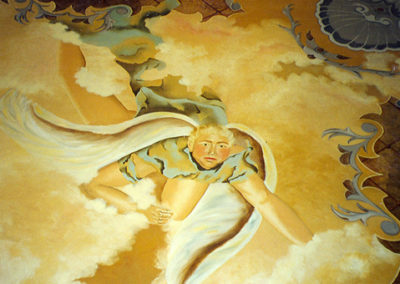 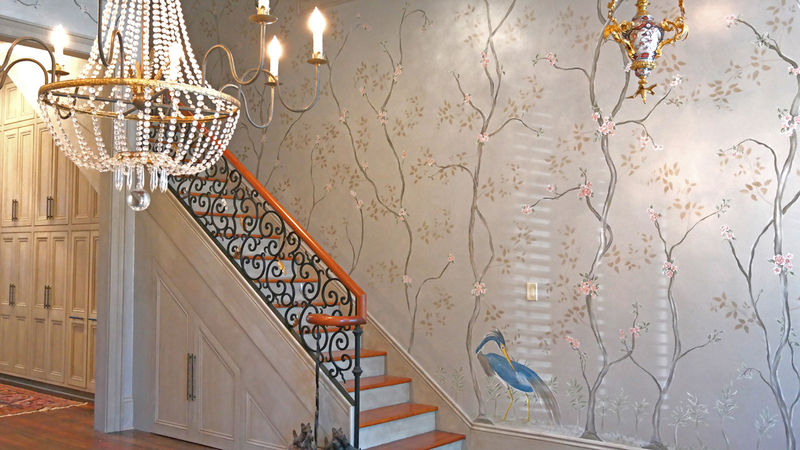 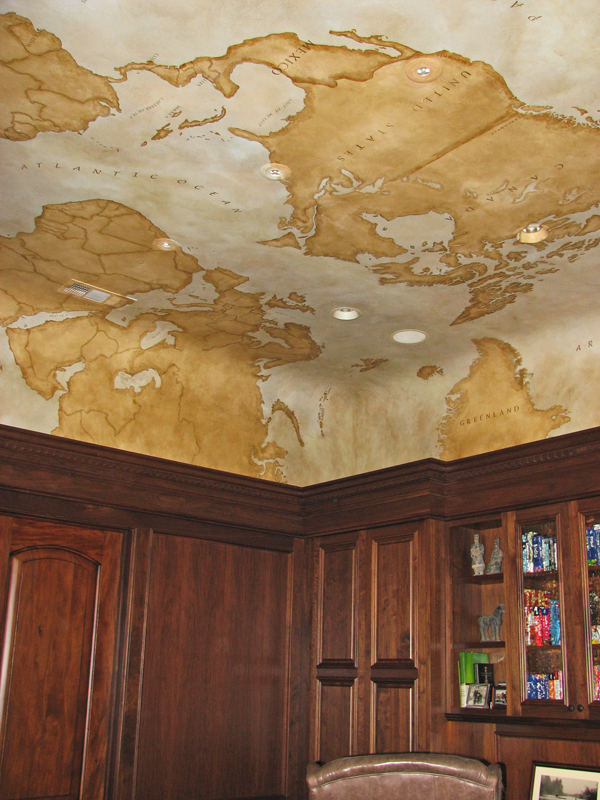 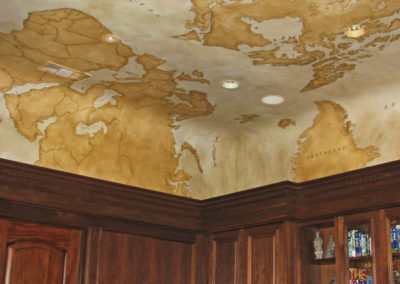 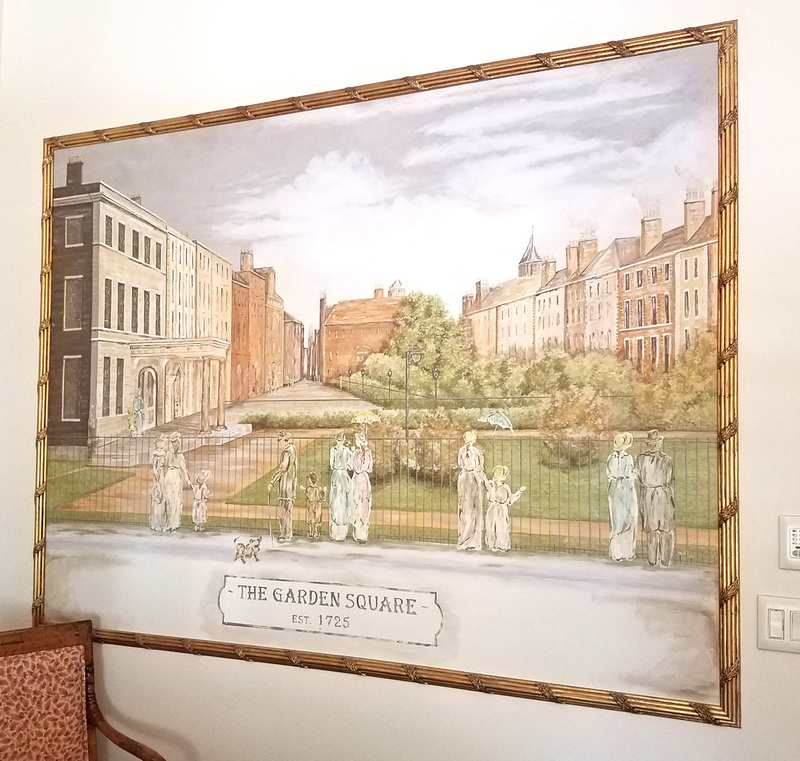 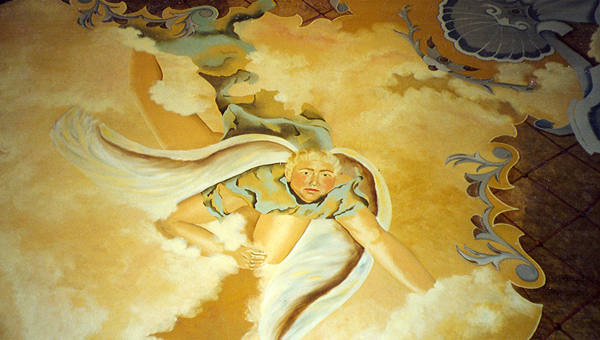 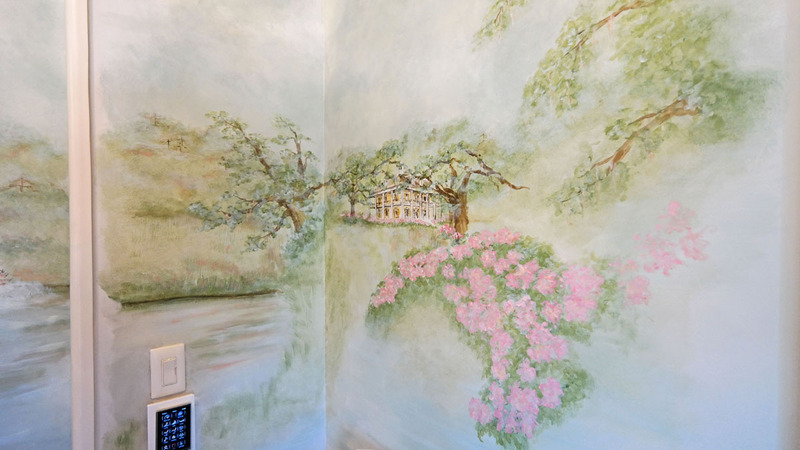 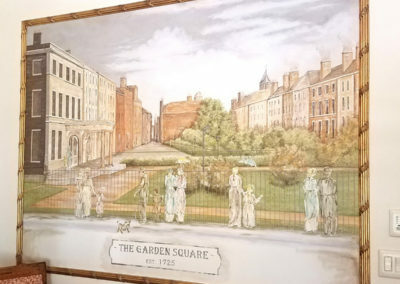 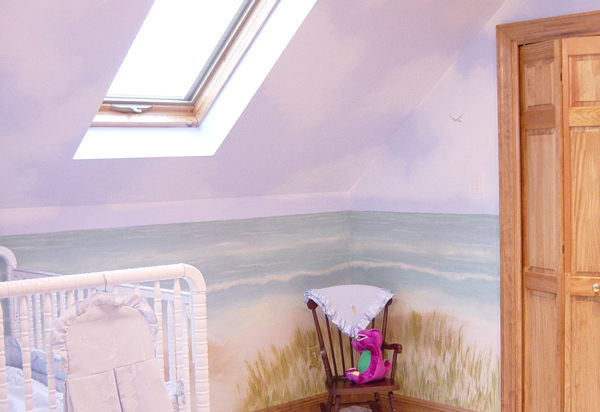 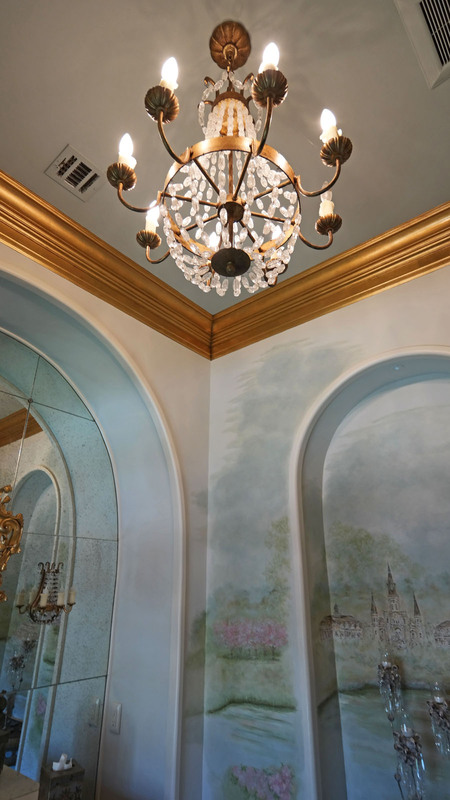 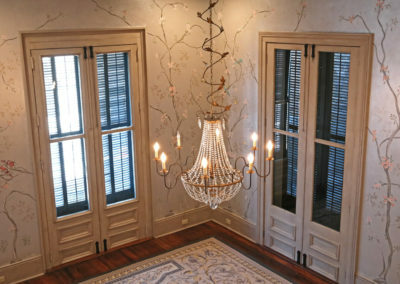 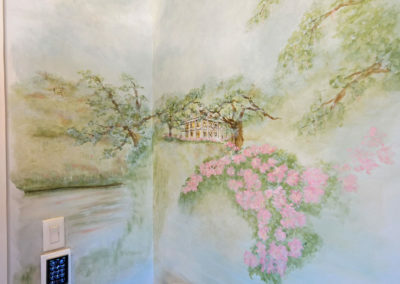 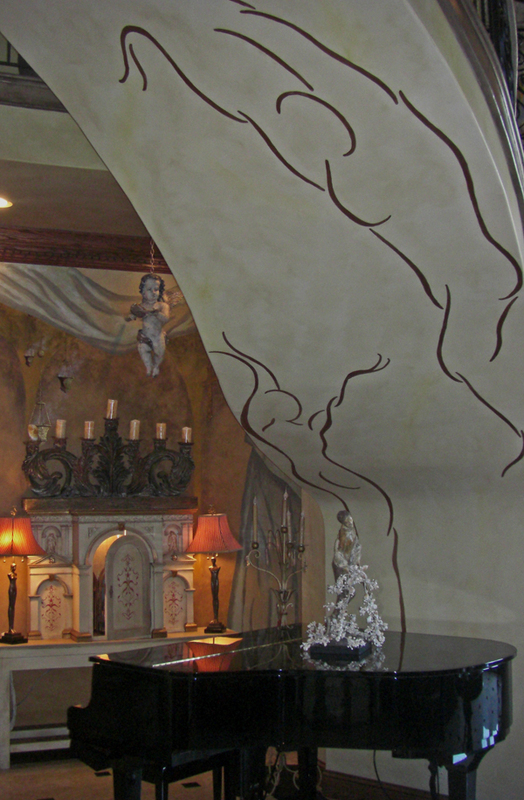 At Sylvia T. Designs, we have been telling stories through our mural work for more than 20 years in both residential and commercial settings. 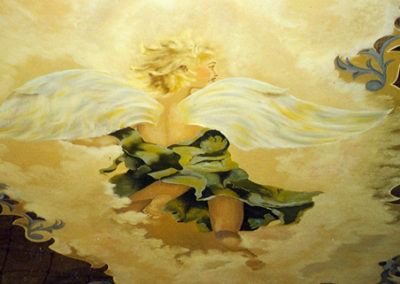 We work to take your idea, a concept, or, simply, an inspiration to develop the mural. 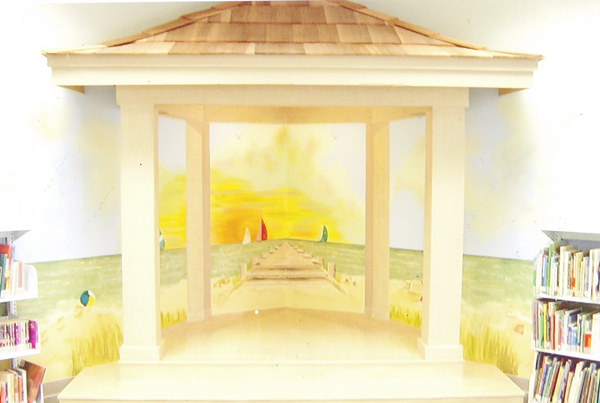 We start with sketches and an iterative process as we collaborate with you to bring the scene to life. We then take it to scaled, colored drawings before the actual mural painting begins. 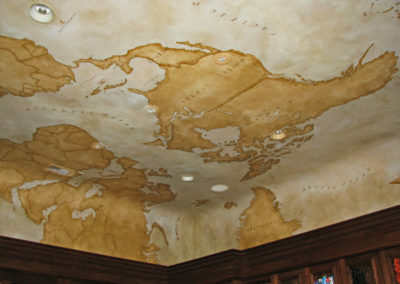 This allows our clients to know exactly what the end result will be. 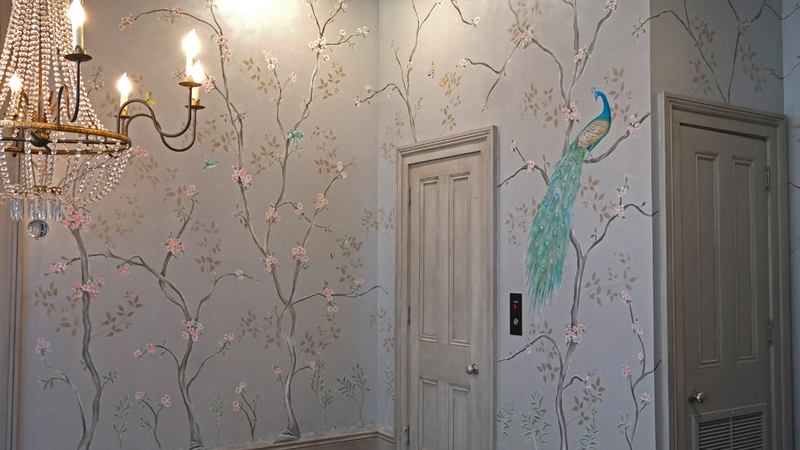 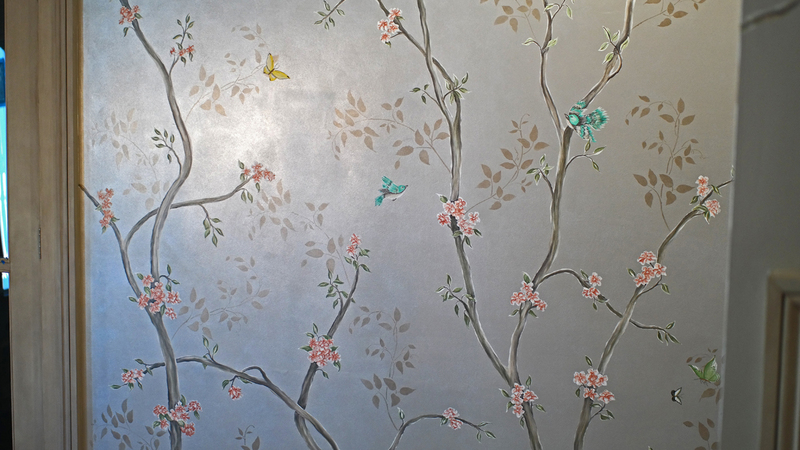 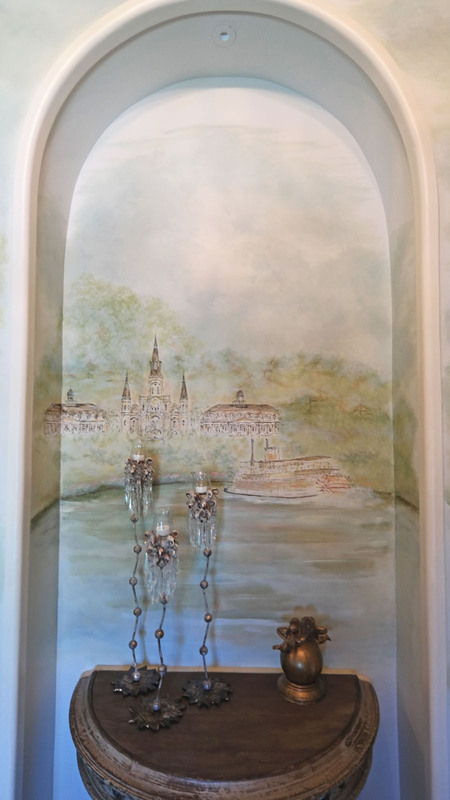 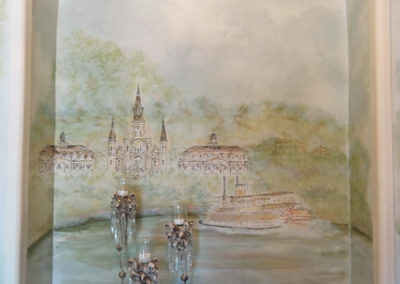 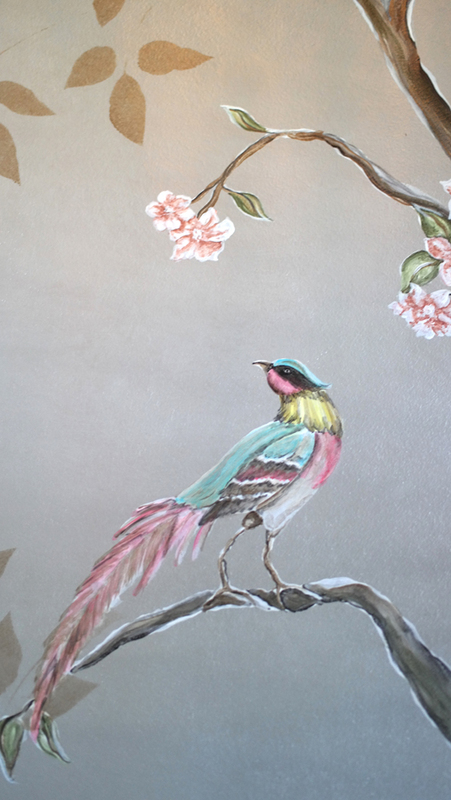 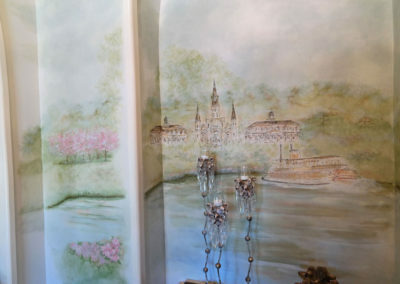 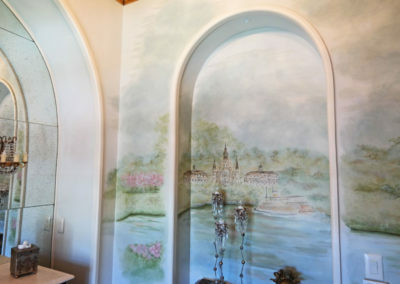 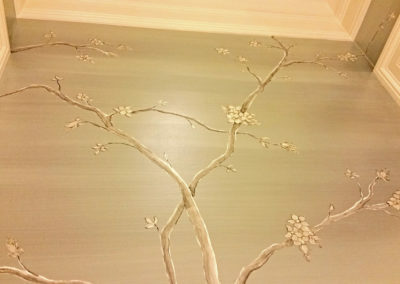 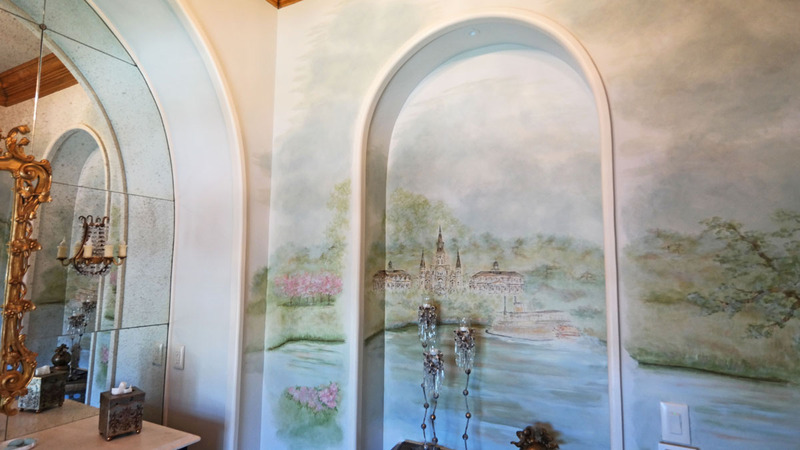 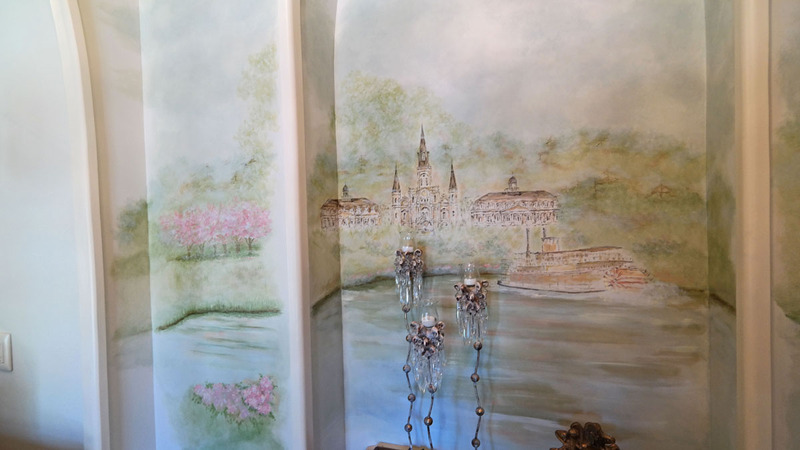 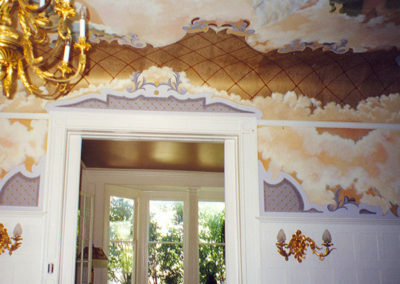 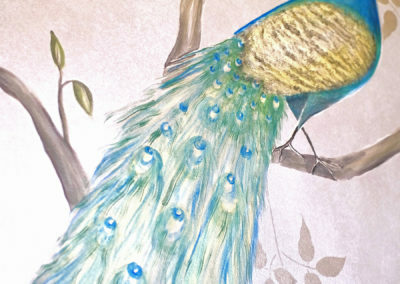 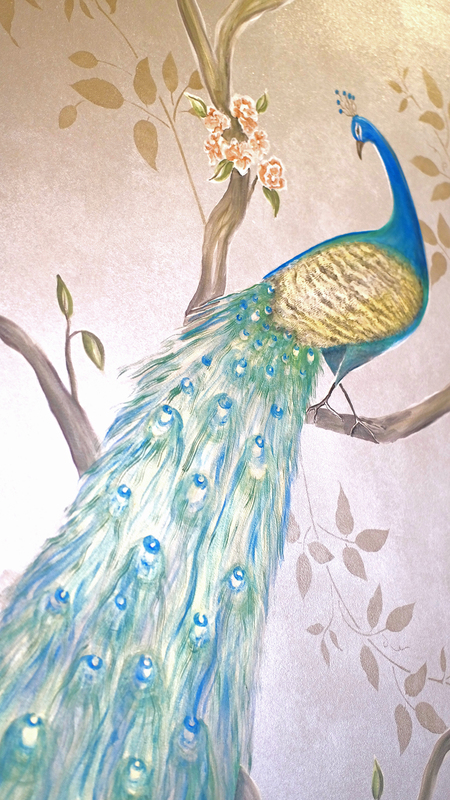 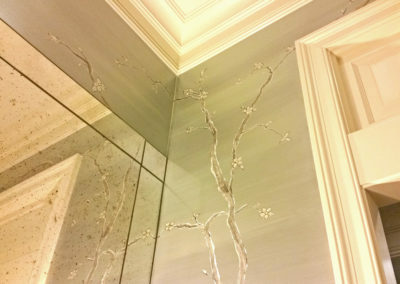 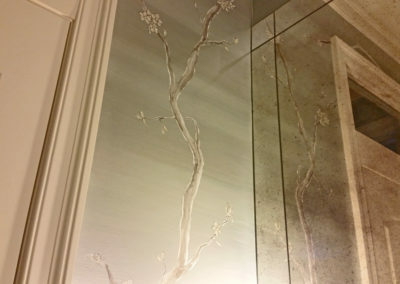 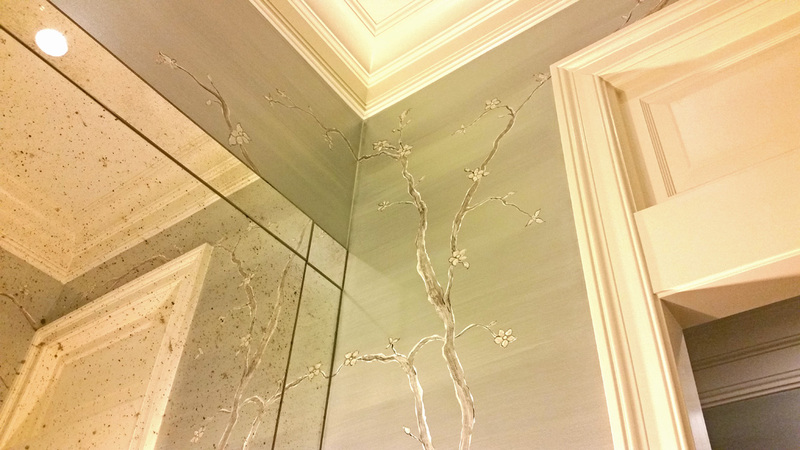 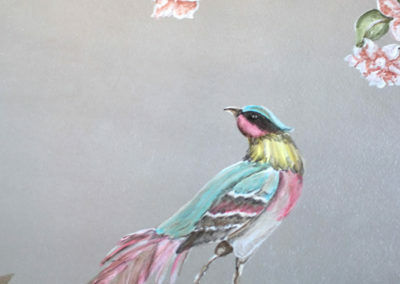 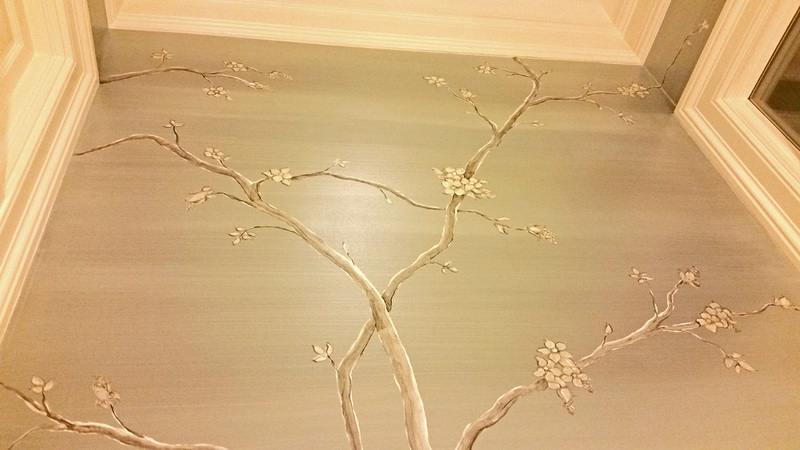 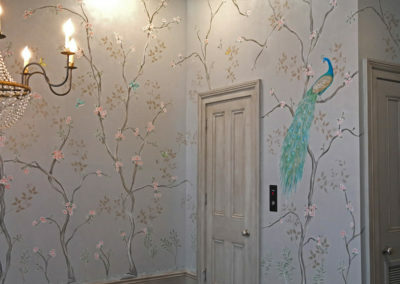 Sylvia T Designs can create murals in various themes and styles from classical, Old World, Chinoiserie, nature, children, to anything you can dream up! 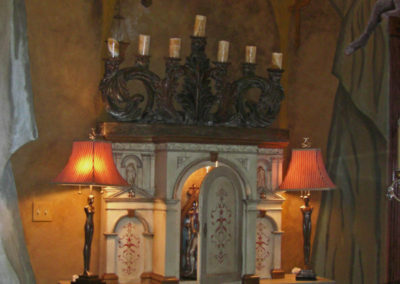 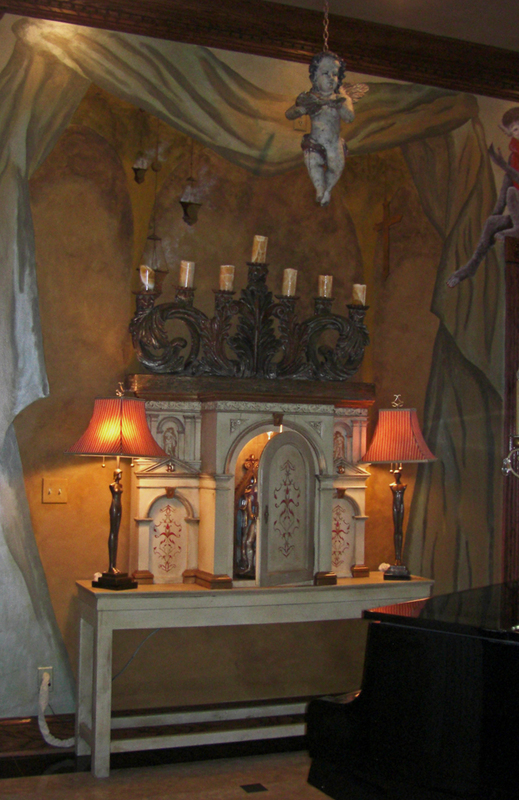 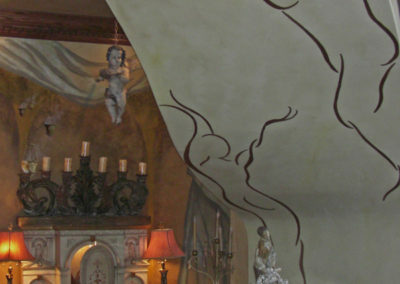 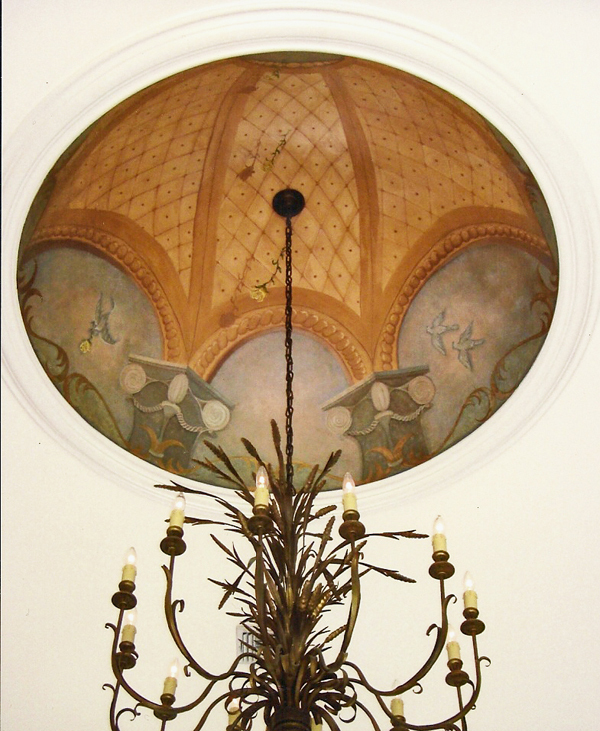 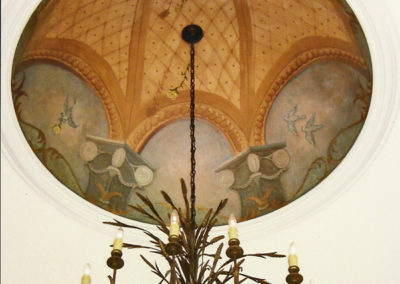 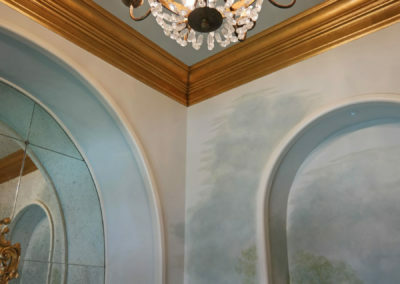 We utilize various techniques, including the use of glazes to create striking depth and character. 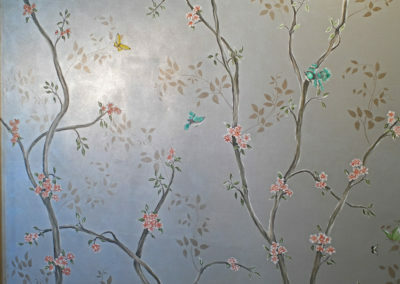 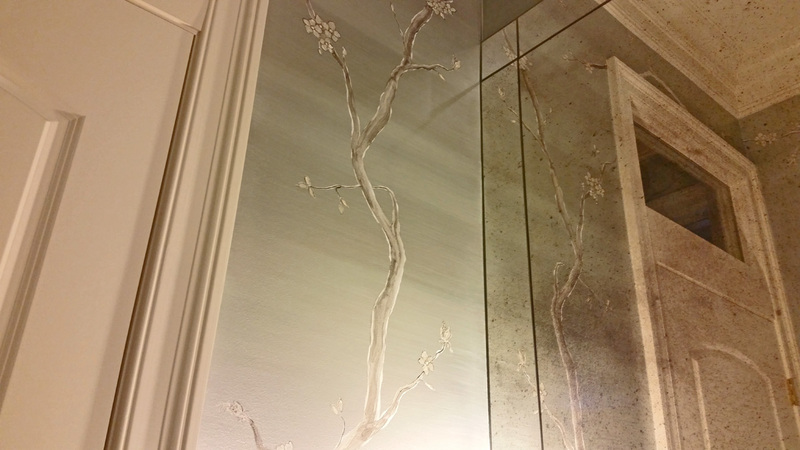 Our murals can complement your space or can become the singular focus your room. 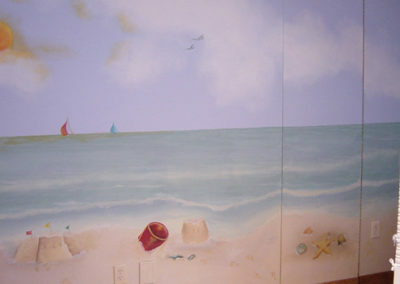 If you can imagine it, we can paint it!